GreedEat ㅣ 오늘 뭐 먹지? 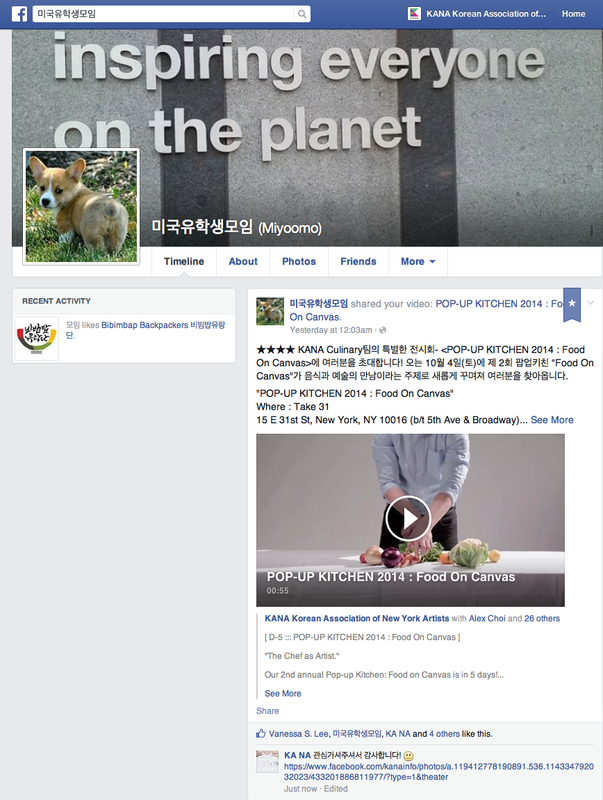 The collaboration of the Korean cuisine and the arts join to sweep New Yorkers off their feet! 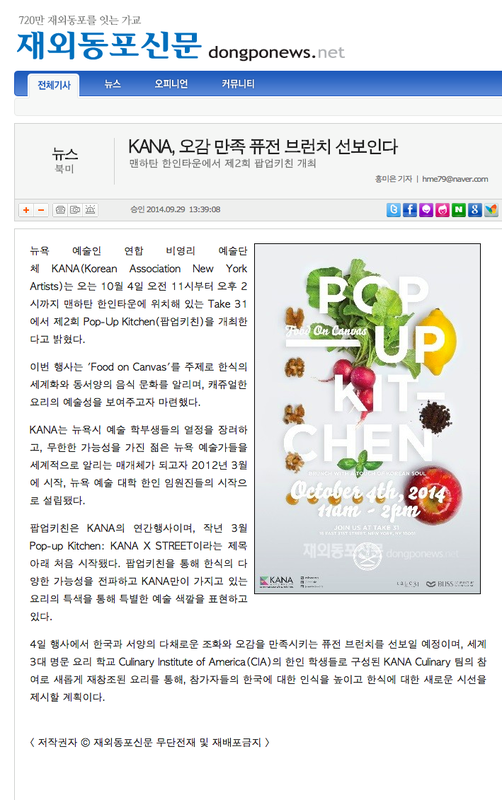 BAR & DINING, a famous magazine that covers travel and food as well as culture and art, reviewed and published an article about our 2nd KANA event, POP-UP KITCHEN 2014 : Food On Canvas to help communicate our message to the readers. 뉴요커의 입맛을 사로잡은 "아티스트" 젊은 한인 요리사들의 특별한 브런치! 트렌디한 한식 축제가 뉴욕에서 꽃 핀 행사였다." 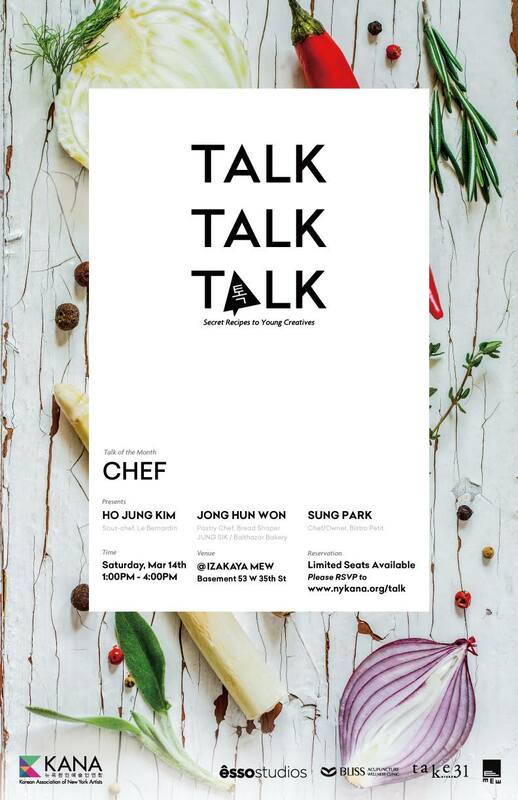 *<바앤다이닝(Bar & Dining)>은 여행과 음식, 그리고 아트와 문화라는매개체로 독자들과 소통하는 한국 유명 푸드 & 여행 저널 입니다.